The O'Brien Siege is a streamlined ski that's designed to deliver speed and stability. This is the same shape found on the popular O'Brien Sixam 2.0. With a tunnel concave, edge changes are smooth and effortless. A softer flex and increased rocker make the Siege feel stable right out of the box. Small defined bevels mean faster, easier turns. Adjustable ARC fin. Pro Wing foil not included. The Force binding hits the proverbial "sweet spot" between price and performance for the discriminating slalom skier. Using the same chassis as the Sector binding, the Force binding is both lightweight and durable. Integrated liner/heel make it easy to get into and out of the Force binding. Sizes: XS/S(4-7), M/L(8-12), XL/2XL(10-14). 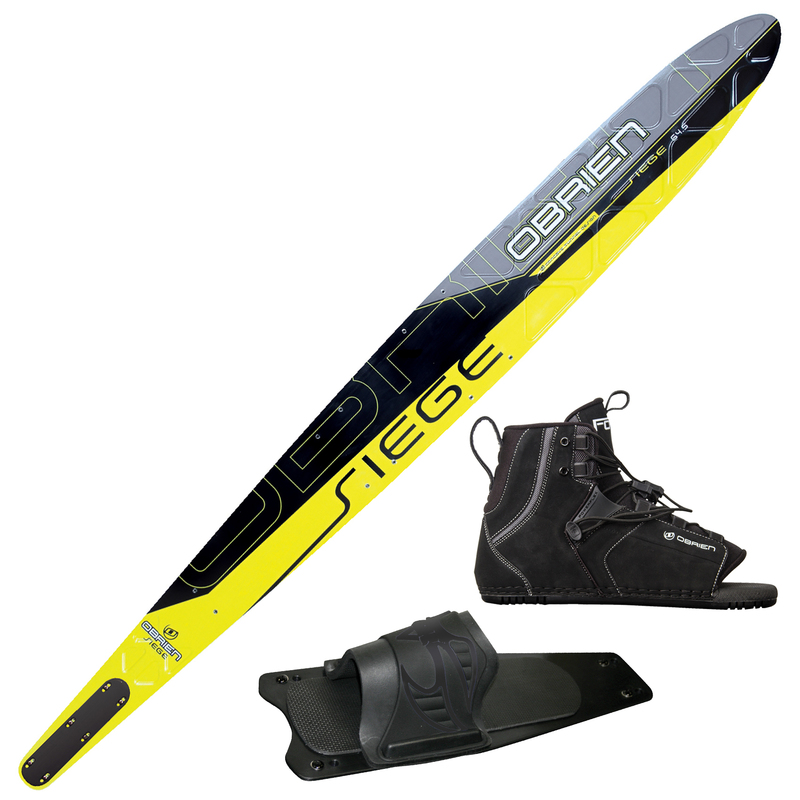 The Siege is our best performing concave shaped ski designed for an intermediate skier. To get into the higher performance skis, you will need to go to a G4 or Prevail which are both concave skis that are more responsive and quicker into a turn. If you are skiing at 26-34 mph, you'll need a 68&quot;-69&quot; ski. At a boat speed of 34-36 mph, you could go as small as a 66&quot;. which make and model would you recommend as a replacement for the world team comp. 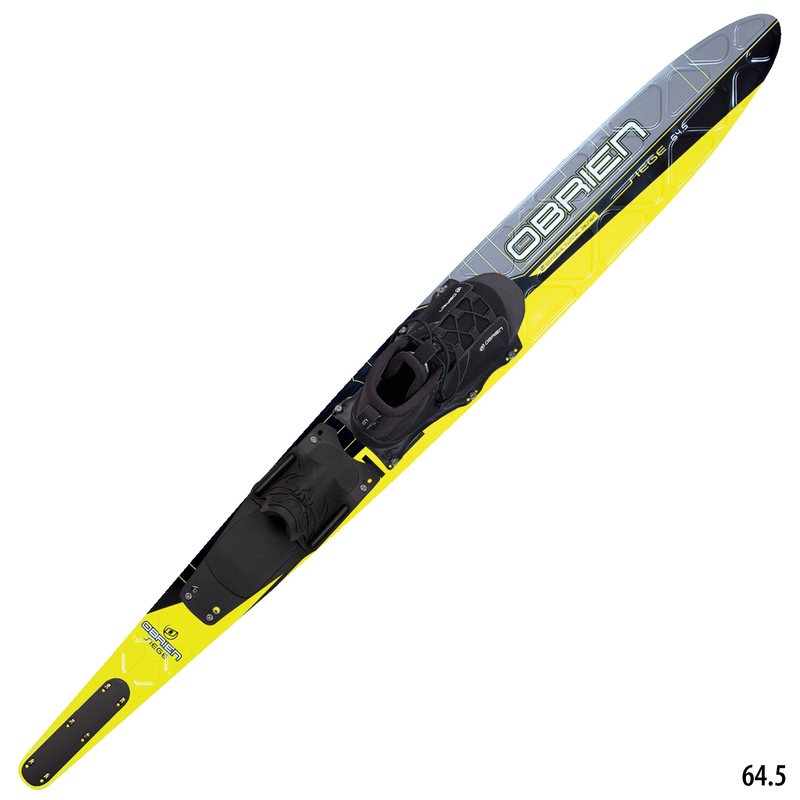 I am above average recreational skier, but also want something that someone who doesn't ski a lot would enjoy. I would recommend the Siege, it is a stiffer, higher performing ski than the World Team Comp. More responsive. My old ski is a an obrien world team comp. &nbsp;is the Seige similar to it? The Siege is a stiffer, higher performing ski than the World Team Comp. More responsive.